If you’re looking to add someone who can come in and improve a certain part of your business… if you’re looking for someone to add system, add expertise and up-level your business, you have to find an “A” player employee. “A” players, as many people call the best of the best employees… aren’t easy to come by. But there is a way that you can increase your chances of grabbing the attention of “A” players and hiring them onto your team. “A” players can often make 10x the impact that a “B” player can make and Carrot CEO Trevor Mauch shares how to structure your company to make “A” players want to work for you, how to create your hiring process so it filters out the “B” and “C” players, and how to motivate “A” players to come work for you. 1:40 – Why we use tools such as the Kolbe A Index to match Carrot’s needs and values with our employees. 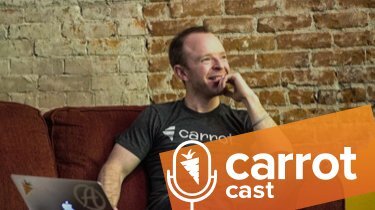 4:20 – How and why you need to build a foundation to your hiring process. 6:40 – What does it look like to create an amazing place to work? 8:05 – Why it’s important to really nail your internal communication channel. 12:10 – Safeguard your rockstars by showing them how much they can grow in the company. 14:45 – Don’t be stingy with your tangible benefits. Benefits that can help that person and their community grow. 16:45 – What it means to find budding rockstars that you can groom into something BIG. 18:50 – Why you need to provide a clear vision and mission of your company. 25:10 – To attract high quality employees, they need to believe that they and the company can achieve the mission. 29:50 – The 3 CORE things you need to attract “A” level employees. 32:35 – Build a network for prospects before you even need to hire. And, where you can start building that network right now. 35:50 – Taking a look at an example of Carrot’s career (job) postings. 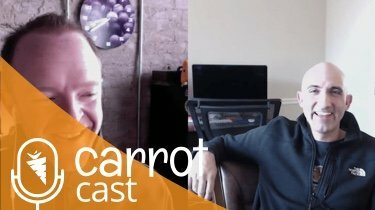 38:35 – What Carrot’s hiring process looks like. 40:20 – How to ask good questions during the interview process. Also — check out Mitchell Harper’s LinkedIn post “This Is How You Identify A-Players During An Interview”. 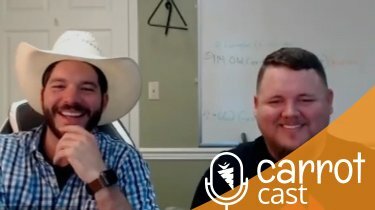 41:15 – You won’t be able to attract high quality employees if they don’t believe in your mission and don’t have a clear path to success.